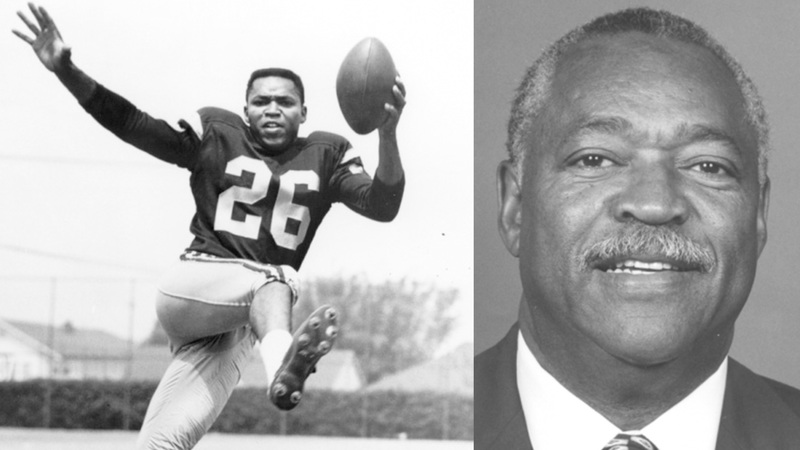 Willie Brown, who was a player and assistant coach on Trojan national championship football and baseball teams and spent several years in the NFL, died Thursday in Carson of complications from cancer, according to the university’s athletics department. He was 76. He was the brother of the “Original Padre” Ollie Brown, who predeceased him. Ollie was called the “Original Padre” because he was the San Diego Padres’ first pick in the 1968 expansion draft. Services were pending for USC’s original I-formation tailback, according to a statement released by USC’s sports information director, Tim Tessalone. A three-year letterman (1961-63) and two-time All-Conference first teamer (1962-63) in football at USC, Brown was a member of the 1962 national championship team and captained the 1963 squad. He played tailback his first two seasons, including when then-head coach John McKay introduced the I- formation to the Trojan offense in 1961, then was a flanker in 1963. Brown led USC in rushing (574 yards) and kickoff returns in 1962, when he was named the team’s Back of the Year, and in both receiving (34 catches) and scoring (44 points) in 1963 when he was named Most Inspirational Player. He also led USC in punt returns and interceptions in both 1962 and 1963. A versatile athlete who rushed for 1,294 yards in his career, Brown also lettered three years (1962-64) as a centerfielder and shortstop on the Trojan baseball team, which won the College World Series in 1963. He earned All-Conference honors that year when he led the Trojans in batting average (.352) and runs (39). Brown spent three years in the NFL with the Los Angeles Rams (1964-65) and Philadelphia Eagles (1966) before returning to USC as an assistant football coach for eight years (1968-75), including with the 1972 and 1974 national champion teams. He also served as a Trojan baseball assistant in 1969 and in 1970, when USC won the College World Series. He then was an assistant coach in the NFL before becoming a restaurant franchisee. From 1996 to 2016, he was an academic monitor for USC’s Student-Athlete Academic Services. Brown, who was inducted into the USC Athletic Hall of Fame in 2005, was the CIF Player of the Year in football in 1959 at Long Beach Poly High. He is survived by his wife Carole, son Brian, daughter Kimberly and two grandchildren, as well as his brother Oscar, who played baseball at USC and with the Atlanta Braves. Ollie, who also played in the majors with the San Francisco Giants, Oakland Athletics, Milwaukee Brewers, Houston Astros and Philadelphia Phillies, died in 2015.